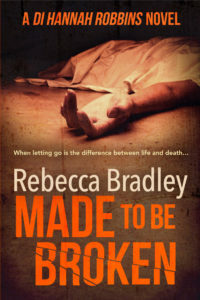 When Rebecca Bradley had to retire from her day job as a police detective on grounds of ill-health, she took the classic advice to writers: write what you know. Fortunately, what she knew was all about police procedures, and now, x years on, she’s a bestselling Professional Member of ALLi, not only self-publishing highly realistic police procedural novels, but also sharing her special expertise to other writers in that field. Being able to make a living from my books. I only have two books out and earning a living showed me that investing in the books and putting in the hard work had been worth it. And by investing I mean continually striving to learn the craft, as well as investing financially in editors, proof-readers and a professional cover designer, long before I had put it up for sale. It’s not about the money, it’s about the customer sales that are involved. The investment they put in when buying the book and when they come back for the second book. It means a lot to me. 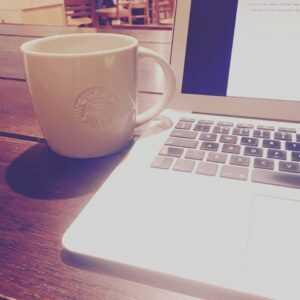 Deciding to self-publish the first novel, Shallow Waters. I’d been signed with a literary agent, but had been unable to find a home with a publisher. Eventually, the agent and I parted ways, and I made the decision to go it alone. I believed in the book, in the characters. And it seemed my readers did too, as Shallow Waters really did well for me. It provided me with a much-needed boost at an incredibly difficult time. I was blown away. It came out of the blue and I still have a copy of the magazine today, several years later. What’s your greatest challenge – and how do you deal with it? I live with the genetic condition Ehlers-Danlos Syndrome, which is a connective tissue disorder and means my joints can be unstable, and I live in a lot of pain. The main issue for me is my neck. It’s debilitating and has a huge effect on the quality of my life. I take each day as it comes. Rest a lot and write between rests, rather than resting between writing! It still means I’m able to write though. If I didn’t have my writing, I would struggle. It gives me something to focus on every day. I’m in the camp that doesn’t particularly believe in writer’s block. I’m not always in a creative mood. In fact, if I’m going through a difficult period with my health, I’m rarely in a creative mood. But I open my laptop anyway and once I start, then the creativity kicks in. It’s the forcing myself to open the laptop that can be difficult. But I do it, even if I only produce a few hundred words on that day, at least I’ve moved forward. I’m always motivated. Once I’ve started a story it stays in my head. Even when I’m not typing I’m working on it mentally. I can’t turn it off. I obsess over it. It’s the being productive that can be difficult, but it’s about making yourself open your Word document or Scrivener document (or notepad) and moving forward every day. And that’s how I do it, by working every day. It becomes a habit that way. Even if it is just a couple of hundred words one day, you could write a couple of thousand another. But by writing every day you create that habit, and the story is constantly with you, constantly being worked over in your mind. Whereas if you are stopping and starting. I feel it’s more difficult to gain momentum with it, to connect with the characters, to feel the story. Daily works. What’s your favourite thing about being an author–publisher? Creating something from nothing. Having that kernel of an idea and seeing it flower into what you imagined – or something like you imagined anyway. Don’t talk about your book – until you’re releasing a new one, then don’t oversell it, mention it and ask for a little help. With over fifteen years’ service, I had to medically retire from the police service a couple of years ago, because of the Ehlers-Danlos Syndrome. I spent seven of those years in uniform and the rest as a detective in a specialist unit. Now I write crime novels. 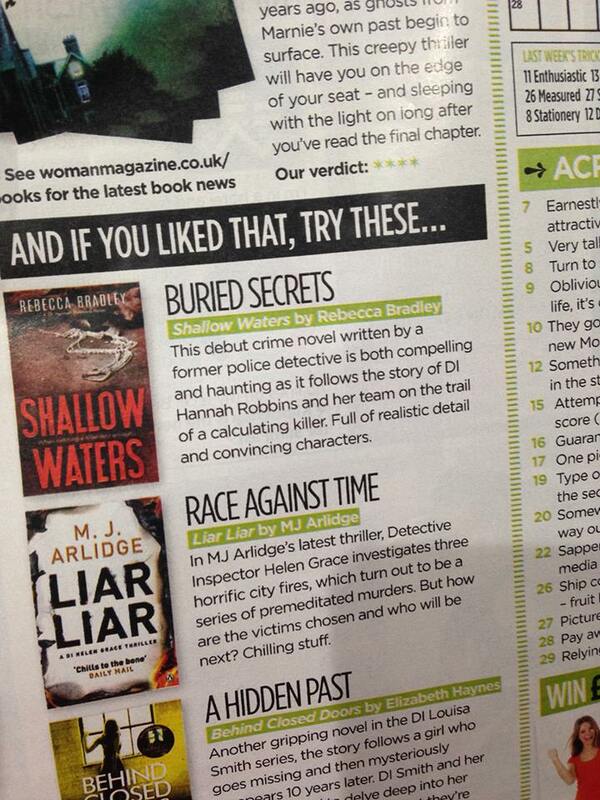 But as well as writing them I’m an avid reader of crime. The problem with this is the procedural errors I see, so I’ve just set up a police procedural fact-checking business where crime writers can either send me questions or send a synopsis, if it’s procedurally heavy, or I can read and report on a finished manuscript. I hope to be able to help crime writers produce factually correct novels so their reviews aren’t slated on the procedure. As well as this I’ve signed with an agent this year and hope to traditionally publish work as well as continue to self-publish the series I currently write. I want to be a hybrid author. I want to have my cake and eat it, and I see no reason why I can’t. I just need to put in the work! 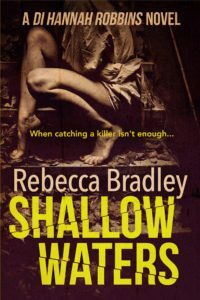 Rebecca Bradley is a retired police detective and lives in Nottinghamshire with her family and her two cockapoo's Alfie and Lola, who keep her company while she writes. Rebecca needs to drink copious amounts of tea to function throughout the day and if she could, she would survive on a diet of tea and cake while committing murder on a regular basis. I edited for grammar over 6,000 pages of my 28 western frontier eBooks using Grammarly and I cannot tell everyone who reads this blog why you’ll be smiling as Grammarly shows you what is wrong and more importantly, why. I am getting ready to write #29 and I am not worried in any way that readers comments on Amazon will say the grammar was bad. My greatest challenge was realizing how CRITICAL proper grammar is to the reader. Once a bad comment is made on Amazon, it is there to stay even after the author has corrected the grammar. Would you be interested to write a guest post on our site, https://toptalkedbooks.com? I would love to know how you marketed and distributed your book. That seems to be the hardest part of self-publishing. Do you have both print and ebook? Your story is inspiring. 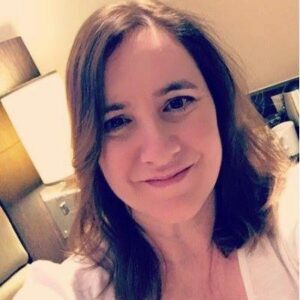 I live with chronic pain…try to work and do the rest of my life around it. Focusing on writing really helps! Over the years I spent writing my children’s book, “Sammy’s Broken Leg (Oh, No!) and the Amazing Cast That Fixed It,” I paced myself…noticed the stimulation of the work was a great diverter of attention from pain. Good luck to you and your books. Thanks, Judith. I’m glad you’ve found something that helps divert the pain, though I’m sorry you have to live like that. It’s hard when it’s chronic. Here’s to writing enhancing our lives! Hi, I loved your story, and I’m going to check out to your work. Tell me, who edited your first book. Thanks, Rale! I hope you enjoy it. A friend of mine who was an editor at a small indie publisher edited my first book but she became too busy writing her own books so I found another editor for the second.